Mainly photography based topics - some technical tips and tricks that I use whilst shooting, with some stories looking behind the scenes of the image series of people and places I shoot. Q. If you weren’t a graphic designer/photographer, what do you think you would do? Thinking back I have had a few ‘sliding doors’ moment where my career could have taking a different turn. Doing technical drawing of an architect, studying as an animator… but I think if I was to stop photography now I would want to be a ‘ZooKeeper’! I find that walking really helps me, I often do un-brief street photography sessions when I become unmotivated. It is a great way to re-spark creativity and look back to the basics of photography and capturing moments, the reason I love the art so much. I would have to say learning something musical, maybe the guitar or piano? I have absolutely no musical talent what-so-ever, so gaining that incurable skill without the thousands of hours of practice would be a dream! Undoubtedly my camera! I have had my Canon 5Diii for a few years now and it spends most days within arms reach of me, through wind, rain, sunshine, tracks, sandpits, fields, a mountain and quite a few drops!! it has never let me down and I am still learning more from it everyday. “Its a dog eat dog world” - I hear this being used, and those say it with pride, it makes me angry that people view others as obstacles to be removed when working together would be so much better producing greater ideas and creative solutions! “Congratulations... Seriously.” - “Thanks. I wish it didn't require the "seriously," but thank you.” If you don’t recognise this quote then go find it out and watch the film! you wont regret it! I promise! 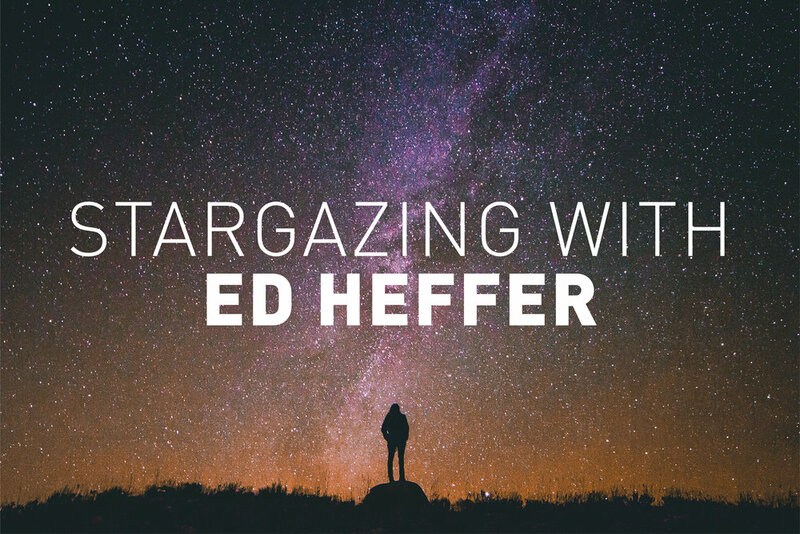 So that’s our 5 minutes’ stargazing with Ed Heffer! To see Ed’s latest awesome photography work, check his out on Instagram.